What: “Communities in Translation” movie screening. Where: Gala Theatre at Tivoli Square, 3333 14th St., NW. Why you should go: The film screening is part of a larger event, “Many Stories, One Night,” which will focus on immigrants’ experiences accessing public services in the District. 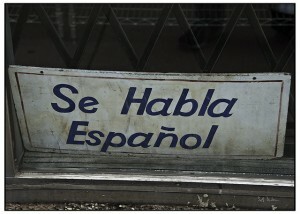 The documentary by Robert Winn depicts how language barriers have impacted D.C.’s immigrants during emergencies, such as the 2008 Mount Pleasant fire. Other events to consider: D.C. will lose 11 artist studios by the end of the year to make room for a $57 million mixed-use development. But before Gold Leaf Studios shuts down, band Ra Ra Rasputin is hosting a closing party. The show kicks off at 8 p.m., Saturday at 443 I St., NW.